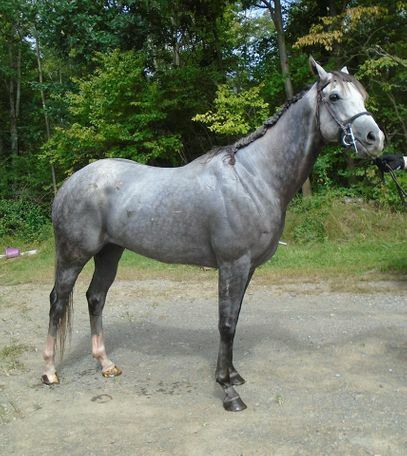 Ben is a 16'1 hand thoroughbred gelding with a sweet in your pocket disposition. Ben suffered a suspensory while racing, and thus is more suitable as a pleasure/dressage horse and trail horse. Ben has no vices and aims to please.